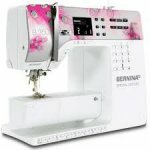 Designed for all BERNINA sewing machines, this class is a must for new owners. Learn what you need to know about the basic operation of your new machine in this informative, fun class. Free for AAA Sewing Purchasers. Join Lynn as she teaches you the ins and outs of the Bernina BSR (Stitch Regulator). The BSR makes it a breeze to do free motion quilting! Free for AAA Sewing Purchasers. Join Lynn as she teaches you the embroidery machine from the basics of hooping to customizing designs, you'll discover all you need to get the most from your embroidery system. Free for AAA Sewing Purchasers. This class will teach you all the aspects of your Baby Lock, Brother, Pfaff or Viking embroidery machines. In this class, you will learn how to hoop your fabric, embroider a design, as well as add lettering. In addition, you will learn about all the various stabilizer options. Free for AAA Sewing Purchasers.